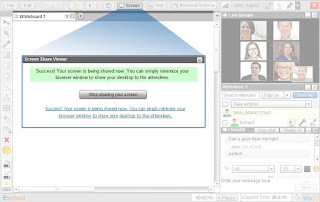 WizIQ has developed a solution that brings together synchronous web conferencing in a “live classroom” skin, with built-in utilities and tool sets that provide a robust learning experience, with assessment as well as additional course content. Instead of just two streaming windows, there can be up to 6 live video streams. Chat, whiteboard, breakout sessions, and on-the-fly uploading of presentation material are also included. In addition, it contains course management elements that assist with administration, such as creating multiple teacher accounts. 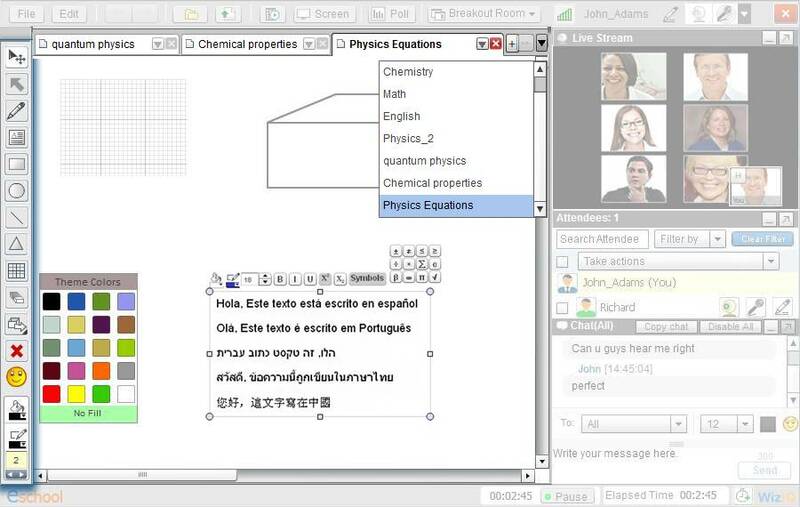 WizIQ also allows course developers to create courses that contain archived webinars. Students can sign up through WizIQ's courses portal and access the course content, assessment, and generate a certificate the reflects performance on a final assessment. 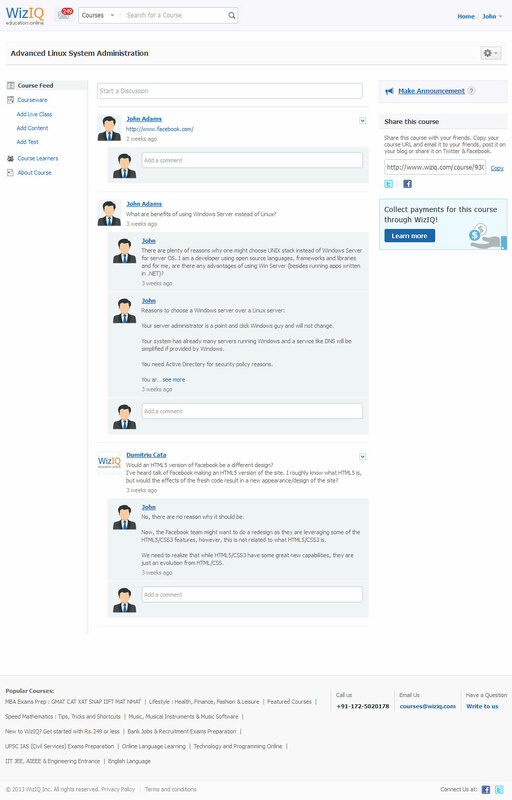 So, individuals or institutions that would like to create a "mini-MOOC" can do so fairly easily with WizIQ. In addition to video instruction in languages and computer programming, there are also intriguing titles such as Vedic Math and MatLab for Financial Engineering (value priced at $5! the regular price is $250). 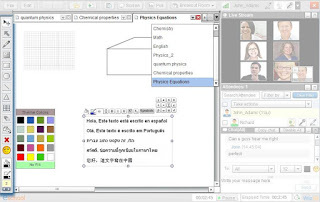 WizIQ is available through subscription, and will also be available for free with Moodle 2.4. Welcome to an interview with Harman Singh, CEO and the visionary behind WizIQ. Our name is WizIQ and we have an E-learning platform that connects educators and students through its WizIQ Virtual Classroom technology. WizIQ’s vision is to enable anyone to teach or learn anytime and anyplace. What is WizIQ? What is its function? WizIQ is an online education platform that offers SaaS based virtual classroom software for teachers, trainers, colleges and universities, high schools, and training and tutoring centres around the world. WizIQ has over 200,000 teachers and 2.5 million learners using the platform in more than 100 countries around the world. WizIQ provides tools for teachers to deliver online education in online or blended learning formats, connect with students, share educational content, deliver live online classes and facilitate highly engaging learning experiences. WizIQ works on PCs, iPad and Android tablets; and can be customized for languages such as Arabic and Hebrew (right to left) and other 12 languages. Who can benefit from WizIQ? Teachers, trainers, colleges and universities, high schools, and training and tutoring centres around the world can benefit from WizIQ. WizIQ allows teachers to conduct live online classes with unlimited numbers of students. Independent educators can charge any price they choose for classes or online tutoring while WizIQ handles payment processing. Organizations and schools can create distance education programs, again charging if they wish or integrating the programs into existing educational offerings. 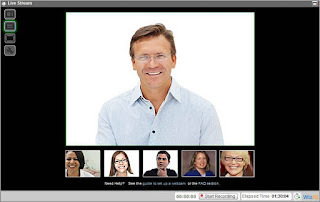 Using WizIQ virtual classroom, teachers can collaborate with remote students - Web camera sharing, VoIP audio communications, and text chat, all in a single window share any application on students’ computer in real time. And students can be invited and join impromptu classes literally in seconds, from anywhere. 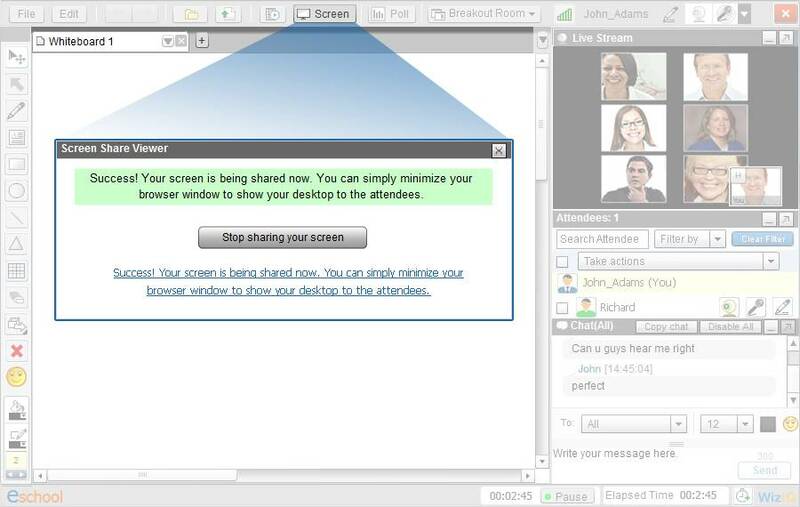 Interactive training sessions can be held with unlimited attendees – right from your desk. Save time and travel costs by moving your training program online. On WizIQ, students can learn anytime, anywhere at a pace that is comfortable to them. WizIQ offers learning in new, engaging, unprecedented ways for students regardless of time, location, or socioeconomic status. Westmoreland Intermediate Unit #7, one of the 29 educational agencies in the state of Pennsylvania, serves seventeen school districts. The agency was looking to provide a flexible environment where a student could still be in a brick-and-mortar school and have an option to take advanced online courses offered in other district schools. With the WizIQ’s 17 installations of Moodle Course Management System, teachers were able connect with students in real-time and teach classes just as they would in the traditional classroom and that too without downloading any software. The KDOC operates state prisons in Kansas. The institution provides required training for staff, contractors, mentors, and community partners in and around Kansas, in excess of 5,000 people. KDOC’s courses are designed for learners ranging from beginners to experts. 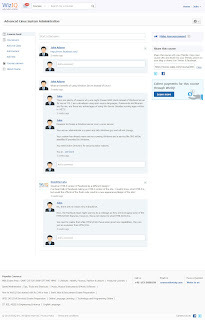 In August 2011, the KDOC integrated the WizIQ Virtual Classroom with their Moodle installation. The institution now uses this new platform for its training and developmental programs designed for staff and other members resulting in 50% reduction in institutional spending on the training and 400% increase in number of online teachers. The KDOC now offers more than 50 online courses, and several hundred live training classes. What is the future of e-learning, in your opinion? The future of e-learning is ‘Knowledge networking and Community building’. At WizIQ, we are building an online network of teachers and students and are providing them with the right tools to interact online to make education accessible to everyone.